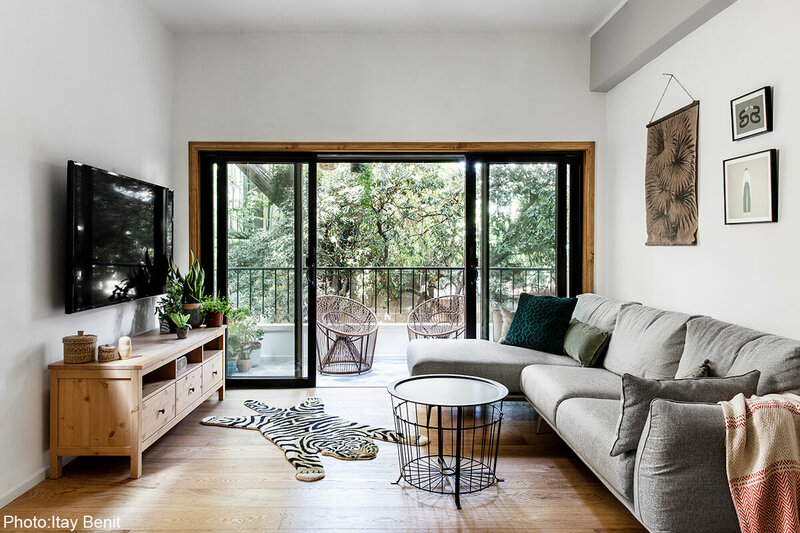 Planing and interior design of 54sqm ground floor apartment with terrace surrounded by vegetation and high ceilings in a building from the 1950’s. 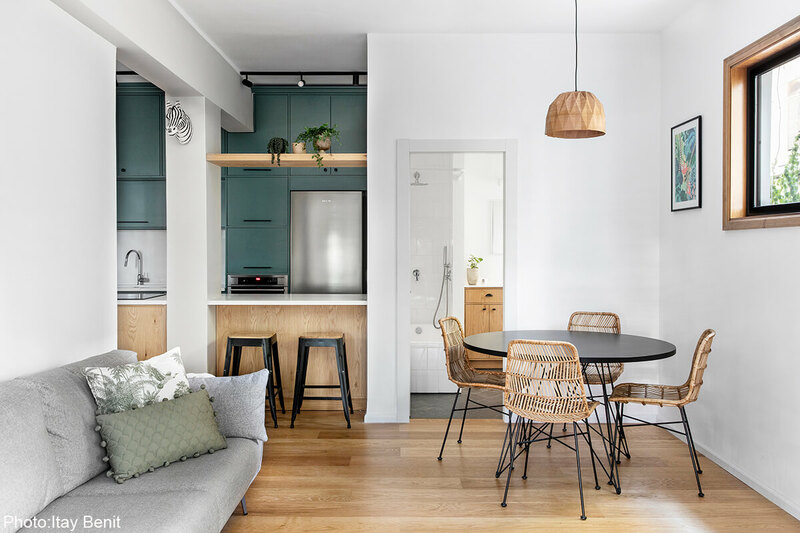 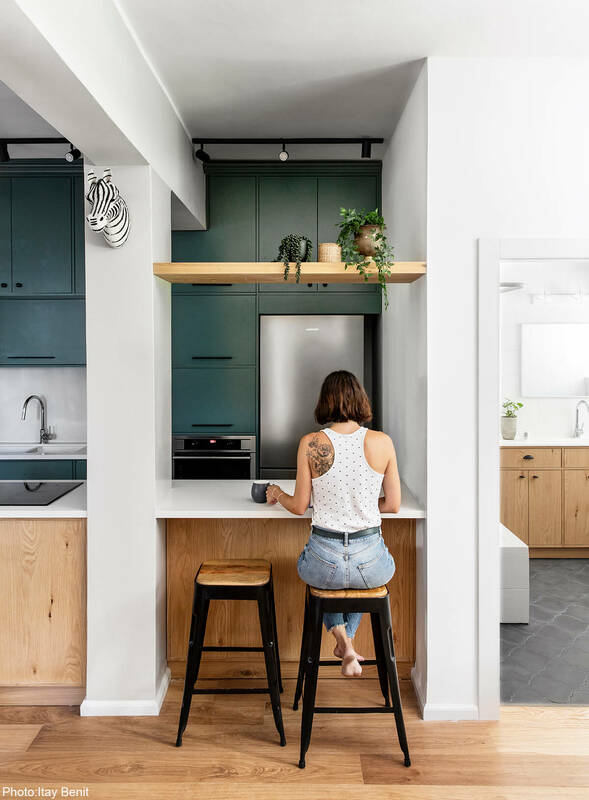 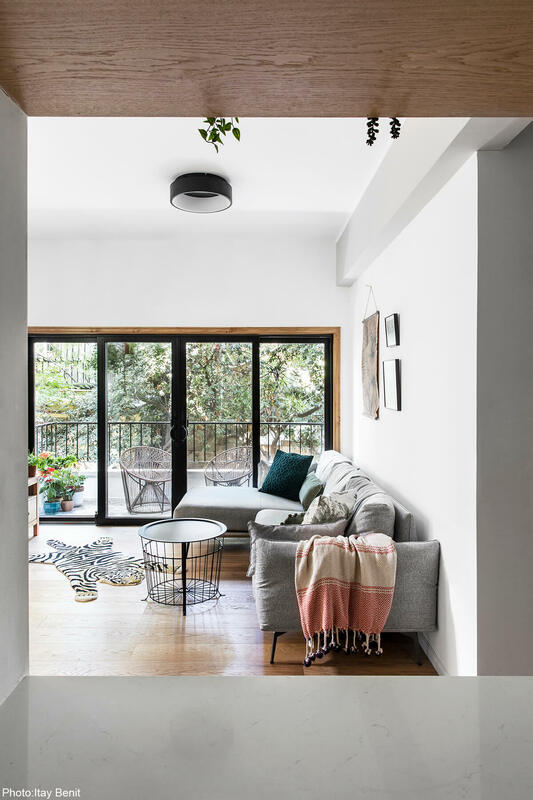 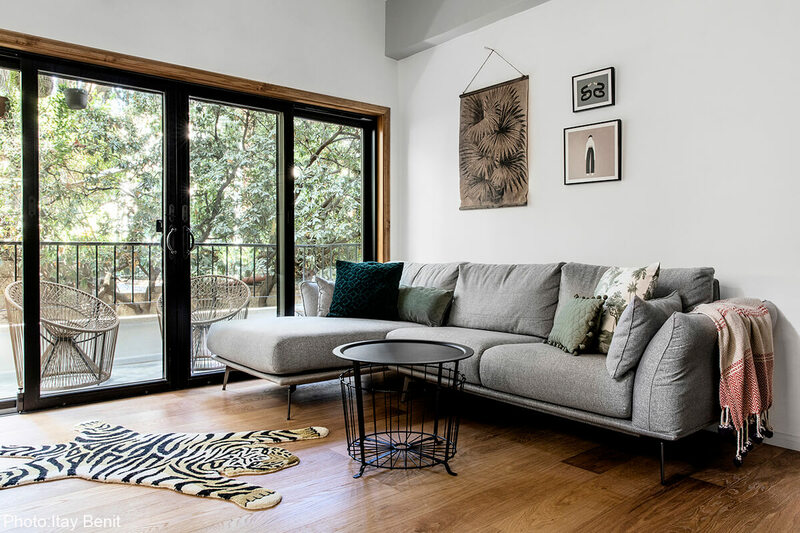 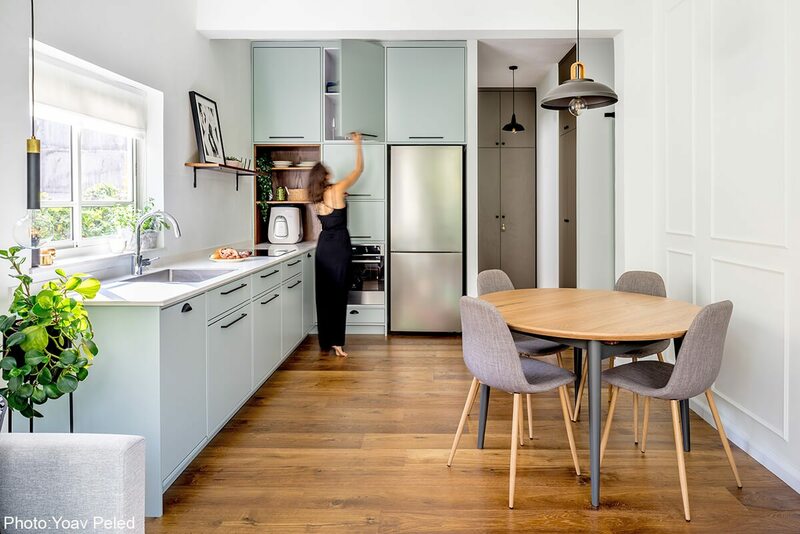 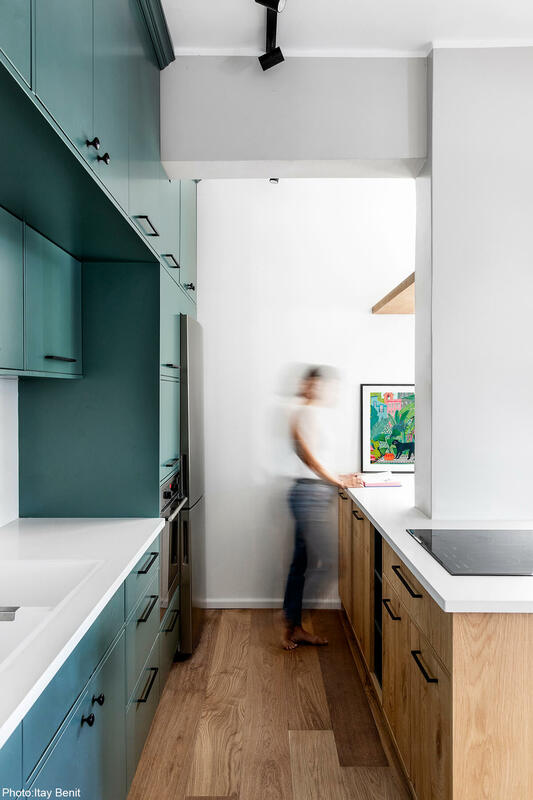 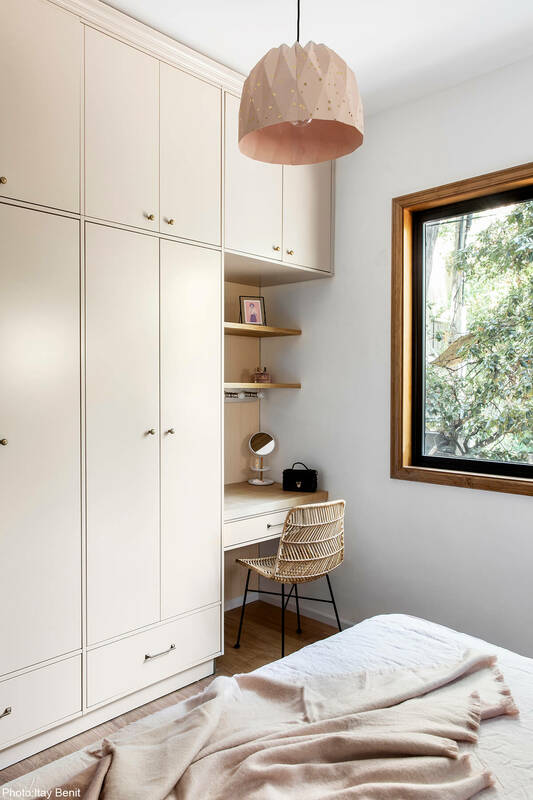 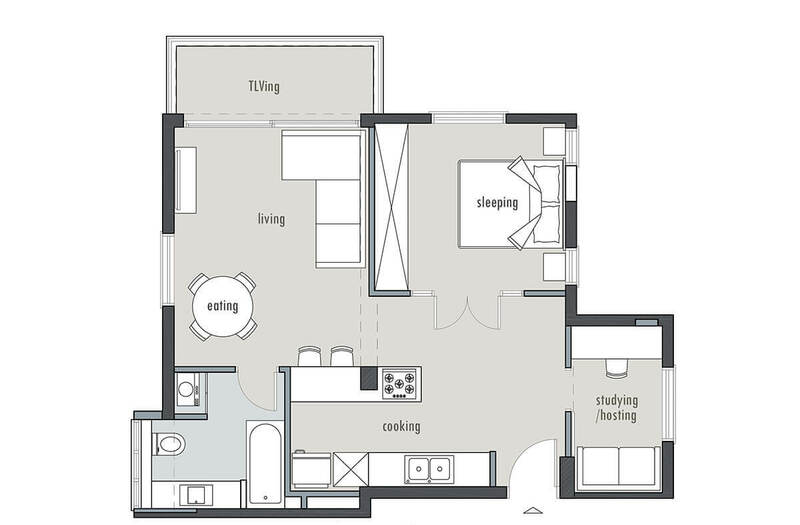 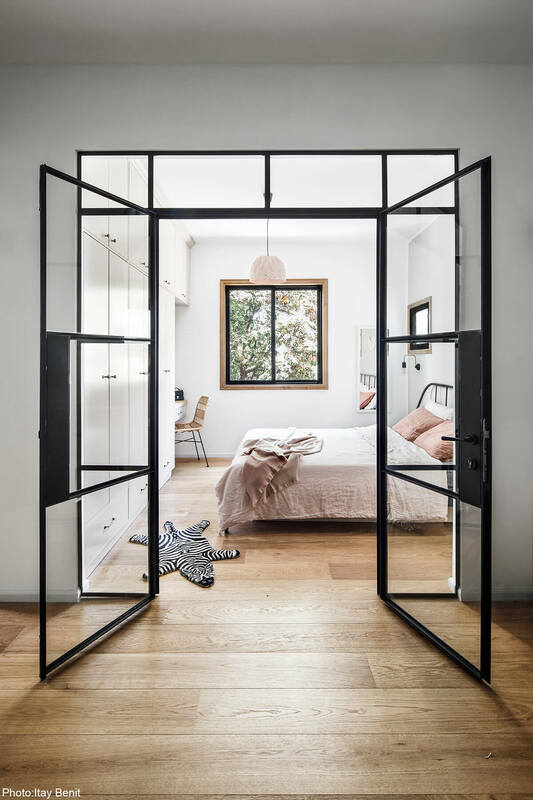 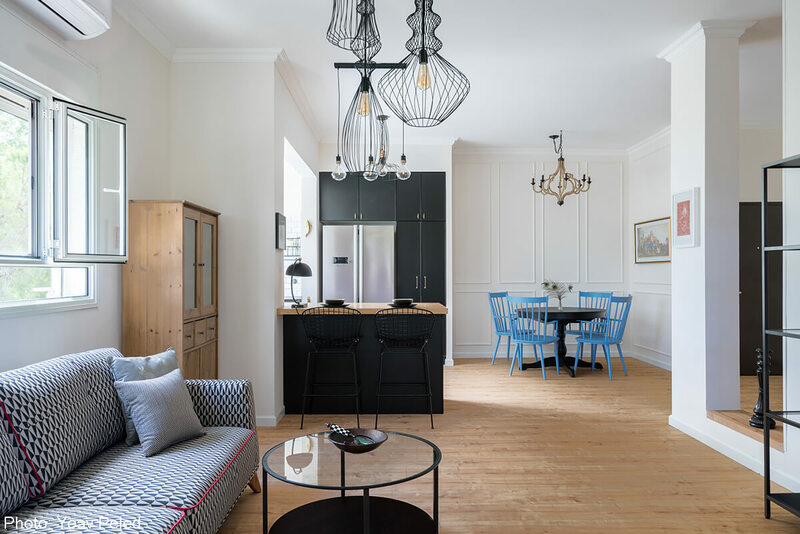 The apartment owners, a young couple, wanted to create an additional room for study and hosting, with an option to expand the family in the not too distant future. 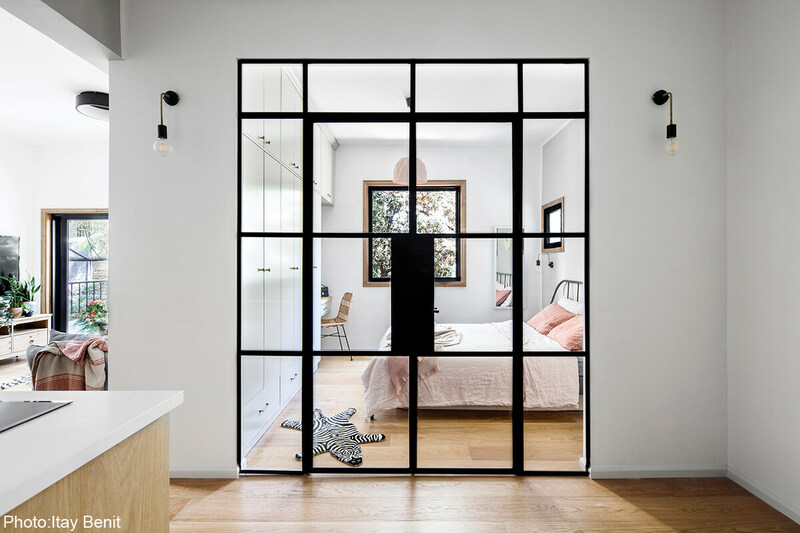 The old wooden windows were replaced with polymer windows with a wooden frame, in coordination with the wooden parquet that was applied throughout the apartment. 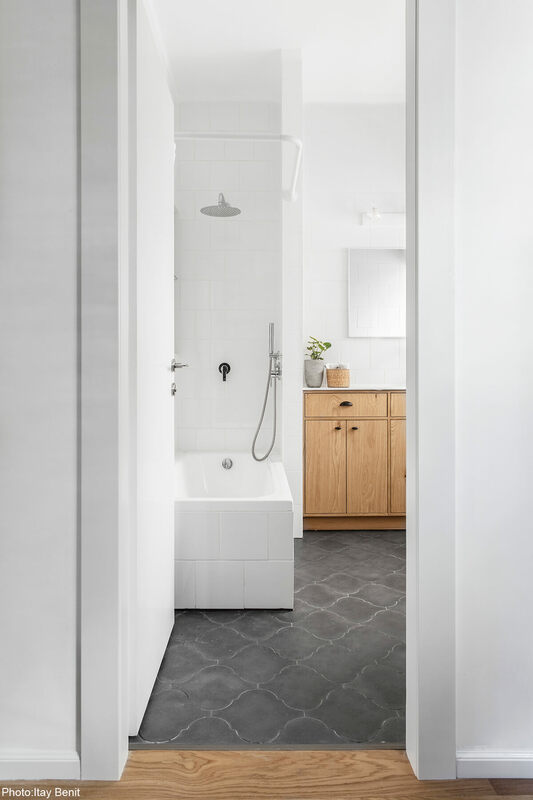 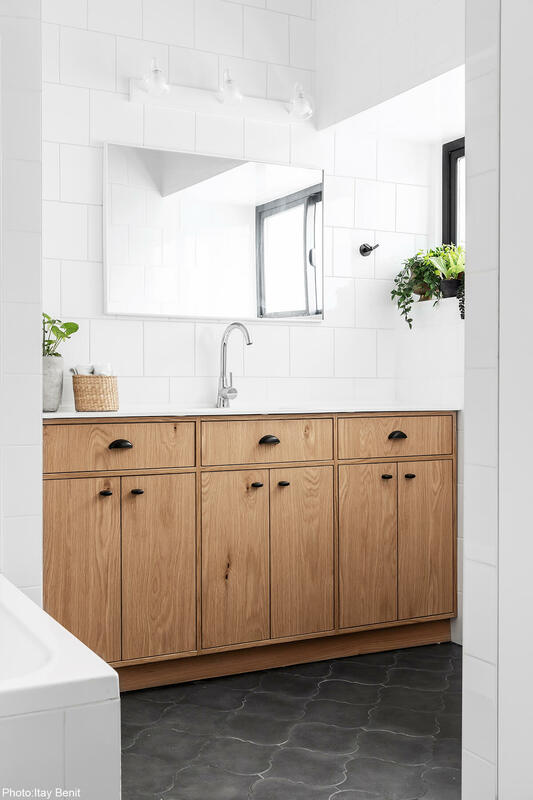 Meticulous carpentry work in the kitchen, bedroom and bathroom were able to maximize the storage and functional solutions in each room and connect to the design line.